Licorice is a weedy plant: it grows spontaneously along the fortieth parallel, between Spain and Eastern China. According to the British Encyclopedia, the world's best production area is in Calabria. This is why, during the 17th century, the region becomes a point of reference of the licorice route: thanks to its purity, the long licorice roots are in highly demand as a remedy against respiratory diseases and a flavoring for medicines and beverages all over the world. England and Germany send scientific expeditions to study the plant closely in an attempt to reproduce it at home, and the Calabrian licorice becomes the most imitated world-wide, at least until the 19th century, when the industry almost collapses. In this period, Americans discover that the "black powder" is great for flavoring chewing tobacco: they need large quantities and make an agreement with British company MacAndrews & Forbes: they open huge plantations in Turkey, lowering the product quality and saturating the market: Calabrian licorice cannot cope the competition and faulters. Only the Amarelli family is strong enough to resist: under the leadership of Domenico Amarelli, the company expands up to Great Britain and then, in 1907, Nicola takes on a deep modernization: he acquires a futuristic steam boiler to prepare the licorice paste and extract the juice, thus moving from the artisanal to the industrial process. 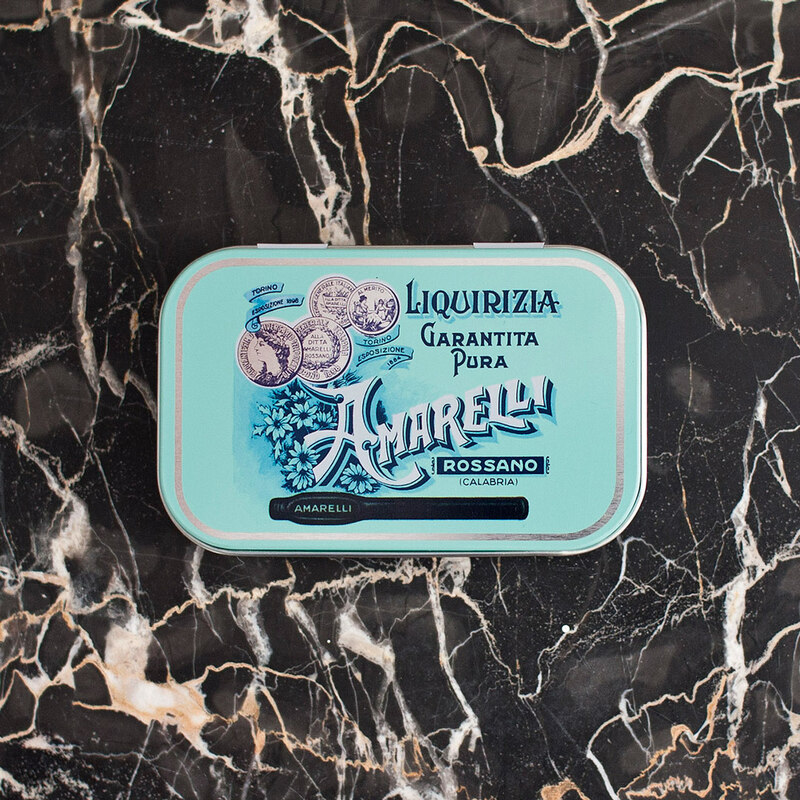 In 1919 he launches the first metal cases, meant to preserve the licorice taste, and embellishes them with an Art deco touch. Today the company, at its thirteenth generation, preserves the traditional manufacturing process, while adapting it to the most modern standards. The roots are powdered to extract the juice and turn it into a dense, fragrant paste. A mastro liquiriziaio (chief-licorice worker) personally supervises the cooking phase, establishing the exact moment when the dough is ready to be transferred to the molds. The result are black and sparkling gourmet jewels capable of encompassing the deepest essence of the Region.